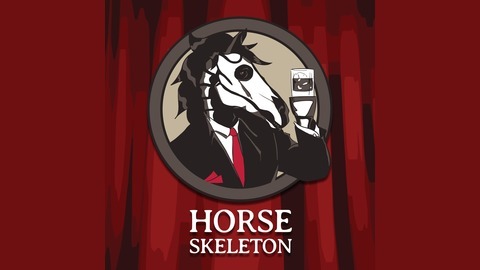 A typical Horse Skeleton contains about 205 bones, but unfortunately we seem to have forgotten the funny one. 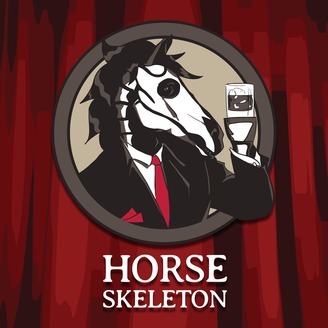 Horse Skeleton is a weekly comedy/gaming/Internet culture live show streamed on Thursdays 8:00pm +10GMT (twitch.tv/horseskeleton) and released as a podcast on Fridays 8:00pm +10GMT. Kent fanboys about legendary game developer Swery, Zac recounts a story where he was on the receiving end of a mugging, and Michael tells a cautionary tale of why you should be careful of what you eat. The guys also talk about LA Noire, the games of Swery and Everybody Golfs.